After many years of imprisonment, Nathan Dunlap, 33, rejected his another appeal from Supreme Court on Tuesday, an appeal from killing people at Chuck E. Cheese restaurant in 1993 and to avoid his execution, according to report by Denver CBS site. 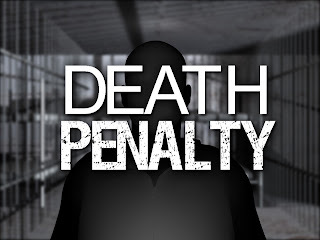 Dunlap's attorney, Philip Cherner said, "Given what we know about the unfair and disproportionate use of capital punishment in Colorado, it would be unconscionable for the state to carry out this sentence." Dunlap was convicted year 1996 for shooting his four co-worker inside the restaurant, all four died with a gunshots in the head on December 14, 1993. Now, Nathan Dunlap is one of three men on Colorado’s death row. Colorado judge can now schedule the state’s first execution in 15 years after the Colorado Supreme Court refuses Dunlap's another appeal. According to Denver CBS report, Dunlap’s death sentence was handed up by a jury, which convicted him of first-degree murder, attempted murder, robbery, theft and burglary for the Chuck E Cheese shootings. Comments or suggestions about "SC Rejected Chuck E Cheese killer's Appeal in Colorado " is important to us, you may share it by using the comment box below.